DETROIT -- I'm kind of struggling right now, because I just found out I'm going to die. Actually, I'm going to kill myself, but it won't be on purpose. Earlier this evening, I inadvertently drove my rented Pontiac directly into oncoming traffic; a few minutes later, the Motorola GPS in my rental car inexplicitly quit working (there is a little green light that is supposed to illuminate when you push the device into the cigarette lighter, but this technological miracle no longer occurs). In other words, I've just driven directly into oncoming traffic with the assistance of a global positioning system, and now I don't even have that. 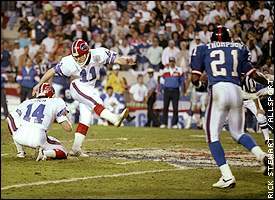 Buffalo is haunted by Scott Norwood's miss, but it's lost on Chuck Klosterman. I honestly have no idea where I am right now, and I've already been here for two days. Over the coming week, I will be forced to drive many, many times; I can't imagine any plausible scenario that does not result in me either (a) crashing into a concrete barrier or (b) getting lost in a sector of the metro area where people who get lost never get found. This is probably it for me; this is where I look into the mouth of the lion. As soon as this blog stops being updated, assume I am dead. Melissa, if you are reading this, please go through my apartment and hide the drugs. So, anyway, it has been a wonderful life and whatnot, and I will (probably) not die in vain. But I'm still going to feel a little stupid, having come all the way to Michigan in order not to see the Super Bowl; I could have just as easily not seen it in New York (without all this dying and typing and constantly losing my hotel key in suburban liquor stores). I can't deny it: I've missed Super Bowls before. Remember Super Bowl XXV, when Scott Norwood shanked a field goal and caused Vincent Gallo to make a self-indulgent movie? I don't. I never saw that game; somehow, I was at a party at 6 p.m. on a Sunday that did not include a television (of course, this was during college and the Gulf War, so my priorities were a little different -- I needed those extra three hours to convince a desperately bored girl that she needed to buy more Soundgarden cassettes). I also saw only seven plays of the not-so-classic 1995 battle between Steve Young's 49ers and Stan Humphries' San Diego Chargers, and I swear San Francisco scored touchdowns on four of them. I think that might have been during the period of my life when I spent 87 days in the Indiana prison while my girlfriend hung herself. Or maybe I was reading a magazine. It's always 50-50, rockers. Still, I wonder if my ability to recall the Super Bowls I missed unconsciously proves how meaningful the Super Bowl must be; clearly, the game has become the kind of social marker I use to construct personal memory. For example, I do not really remember being 5 years old (and I certainly don't remember what life was like in 1978), but I do recall the circumstances surrounding Super Bowl XII -- I remember how the furniture in our living room was arranged, and where I laid on the carpet, and the quality of the reception on our Zenith TV. I remember that Robert Newhouse threw a fullback option pass for a touchdown after licking the stickum off his hands; it was a sweep to the left, which still seems counter intuitive (Newhouse being right-handed). So -- somehow -- I can't recall anything about how I felt on Christmas morning of 1977, but I can remember specific details about Tom Landry's unorthodox play calling from Jan. 15, 1978. Hmm. This notion is kind of depressing me. But maybe it's just the dying. Something that's becoming clear (and perhaps predictably so) is the ferocity with which the NFL aspires to promote the concept of the Super Bowl, a goal that requires everyone involved (including you) to embrace a specific philosophical contradiction: On one hand, we are supposed to view Sunday's game as the most significant conflict since the Tet offensive, because only a game of that magnitude could warrant such an ostentatious display of hyper-accelerated Americanism; at the same time, we are forced to concede that the game itself is fundamentally meaningless, since nothing this mammoth and transcendent could possibly hinge on something as trivial as Hines Ward's proficiency at running the corner post. It's the kind of circular logic that drives the Patriot Act: This singular game is so important that it's (obviously) more important than any single game. Here's (sort of) an example: There is a lot of Super Bowl merchandise available in this Renaissance Center, and throughout the city as a whole. This, obviously, is neither surprising nor problematic. But here's what always baffles me: Why would anyone buy a T-shirt (or a hat, or an ascot, or a waterproof matador cape) that merely promotes "Super Bowl XL"? An inordinate percentage of the available items in the Renaissance Center's gift kiosks do not feature the logos of the Seahawks or the Steelers; they generically advertise the abstract existence of a football game. This would be like going to see Marilyn Manson at Madison Square Garden and buying a $22 T-shirt that said, "THEATRICAL, DRUG-FUELED ROCK CONCERT." It reminds me of the nonspecific commercials TV networks like NBC run that promote the channel itself, almost as if they assume there are actually people who privately think, "I have no idea what's on television right now, but I better check NBC first. I get the impression they're especially confident about the quality of their current programming." And yet ... I suppose all of this nondenominational Super Stuff inadvertently defines the aforementioned concept of the Super Bowl, unquestionably the most bipartisan athletic affair in modern culture. At every sporting event, there is a percentage of the audience who does not care who wins and who loses; the Super Bowl is probably the only major sporting event where this is true for the majority of its audience. Twenty minutes ago, I ran into a reporter named B.J. Reyes, a newspaper reporter from Hawaii who's working on a freelance story for That's Guangzhou magazine, an English language publication in China. Football is (apparently) growing in popularity over there, especially as a youth sport (although they don't play tackle, for some reason -- it's all flag). Weirdly, Philadelphia Eagles tight end Chad Lewis is the face of the NFL for the people of China. Lewis attended BYU, and because he subsequently did a Mormon missionary in Taiwan, he speaks Cantonese fluently. Consequently, Lewis has become the gridiron's Far East ambassador; when the Super Bowl was first broadcast in China, he simultaneously delivered both the play-by-play and the color commentary. Within the world's strongest socialist regime, Chad Lewis is Brent Musburger. Reyes told me that -- for the third year in a row -- the Super Bowl is scheduled to be televised in Guangzhou on a one-hour delay, which means it's essentially live, but it's on the air at something like 7 a.m. I'm guessing the game will be watched by one percent of the local populace, which (though I could be wrong) is approximately 67 billion people. And I'm sure these people won't care what happens. But perhaps they'll understand the concept, even if I do not. DETROIT -- I am currently typing in ESPN's Detroit command center, which essentially means I am on the 18th floor of a very confusing building that is (apparently) supposed to signify the city's renaissance, inasmuch as the facility is actively called The Renaissance Center. This is a universe without corners; The Renaissance Center is essentially four cylindrical skyscrapers that provide no sense of geometric order. I keep hoping to bump into Ron Jaworski; I have no doubt he could enthusiastically explain the logic of this structure, as well as detailing what I should do if I step out of an elevator and everyone in the food court has dropped into Cover 2.